Last night, Dad told us, the Platter Talk Kids, that we were going to make brownies tomorrow. Tonight, we started to make them. We learned all sort of things, like how to crack eggs the right way and to use a double boiler not to burn the chocolate. To crack eggs the right way, you crack the egg(s) in a different bowl so if the egg(s) are bad or bloody you don’t mess up the recipe. 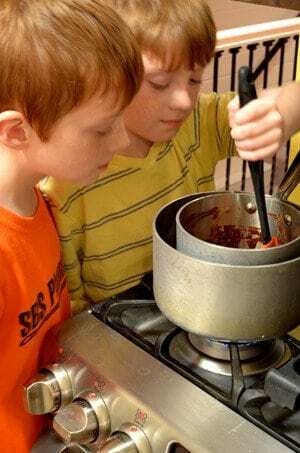 If you don’t know what a double boiler is we’ll tell you what it is. It’s a pot with water in it. Bring that to a boil, put a smaller pot in side of the bigger pot and when the water is boiling you turn the dial down to low so the water is melting the chocolate. Making theses brownies is a memory that l will never forget. l hope making theses brownies is as fun for you as it was for me. P.S. 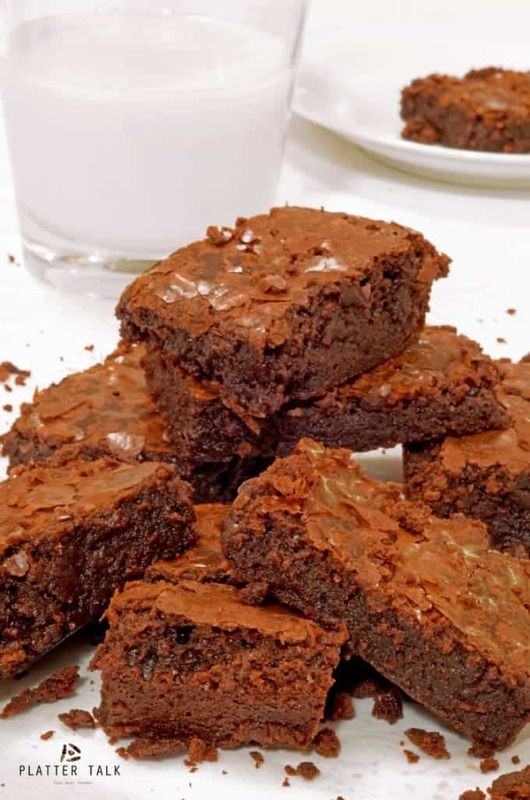 l suggest drinking a large glass of cold refreshing milk with theses brownies. Heat oven to 350°. Grease a 9" x 13" baking pan with butter and line with parchment paper; grease paper. Set pan aside. Pour enough water into a 4-quart saucepan that it reaches a depth of 1". Bring to a boil; reduce heat to low. Combine butter and chocolate in a medium bowl; set bowl over saucepan. Cook, stirring, until melted and smooth, about 5 minutes. Remove from heat; set aside. I just made these. They’re FABULOUS! So fudgy and delicious. Your boys are very cute and quite good at clearly explaining things. Well done! Thanks for the great comments, Maddie; we can’t wait to share this with the Platter Talk kids! Oh my word!!! Those boys are adorable! Awesome job on the video! 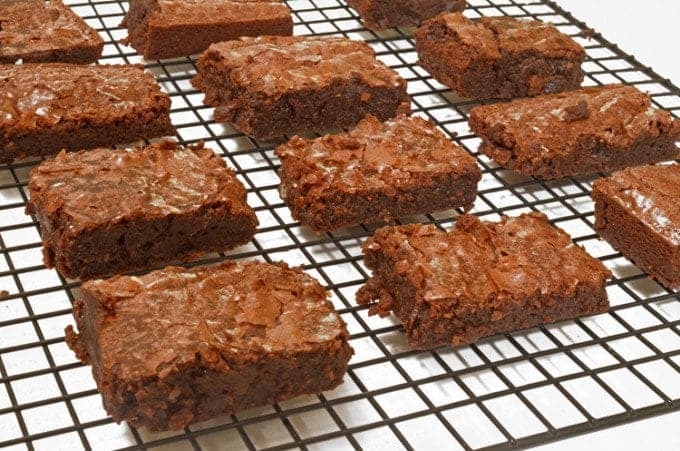 The brownies look “to die for” super yummy! Pinned. Thanks for sharing. Thanks so much Mary; we truly had a lot of fun putting these together! 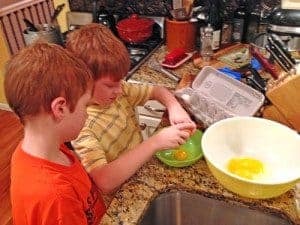 I have so many great memories of time spent with my (now grown up) son in the kitchen, It’s lovely to see your boys having fun and making delicious treats. 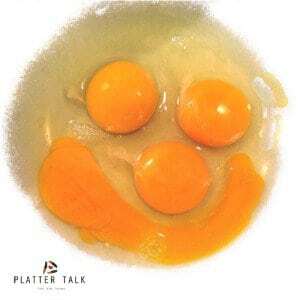 Well done to the Platter Talk Kids – great video, blog post and oh my those brownies look amazing!! Thanks so much, April! We all had a lot of fun putting these together. Baking with kids is so much fun! 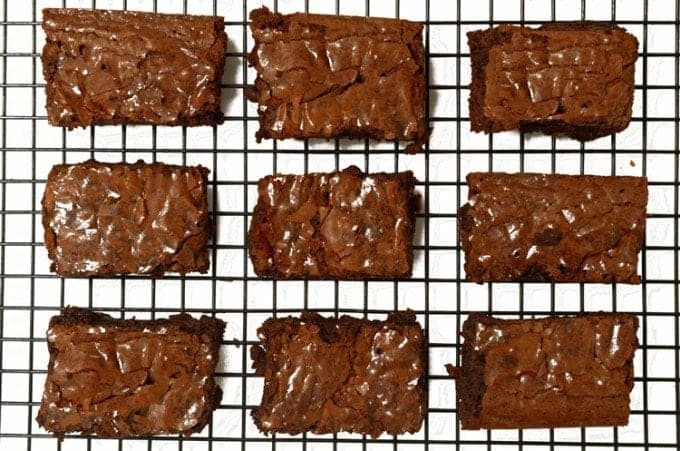 These brownies are simply perfect! Thanks, Kristen! The brownies fared pretty well too! The kids are so adorable!! This post is only made better with gooey chocolate involved 🙂 can’t wait to try these and have my 4 year old boy help! Thanks so much Collen; they really had a lot of fun putting this one together! This is so terrific. The platter talk kids are naturals and the Supernatural Brownies sound delicious. 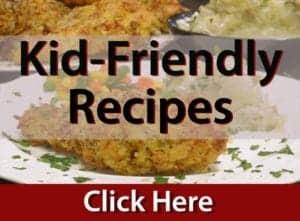 I’m a huge fan of teaching the kids to cook, my grandsons love to cook with me and it makes me even happier. Thanks for this delicious recipe. I can relate to your joy and sense of fulfillment Dan! It is so delightful indeed when the kids take an interest in what we do and actually want to do it, too! The boys did a superb job and congratulations are in order. 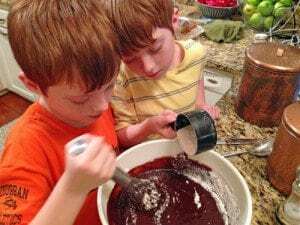 I need to show these to my kids to inspire them and am sure they’d love the brownies, too! Thanks for the kind comments, Abby. We all really enjoyed this activity! I loved that one too, Justine. Of course it was one of the twins who pointed it out! What a great way to get your chocolate fix…and with all natural ingredients which you know I love! The kids look like they are having an absolute blast! By the time they are grown, I bet they will be accomplished chefs! Ha! Agreed, Linda! Thanks so much for stopping by! Well done boys! And well done dad for giving the gift of cooking to your kids! Thanks for the kind words, Kelly. From both boys and Dad! What an awesome post! I love everything about it! Thanks so much for the smile today! 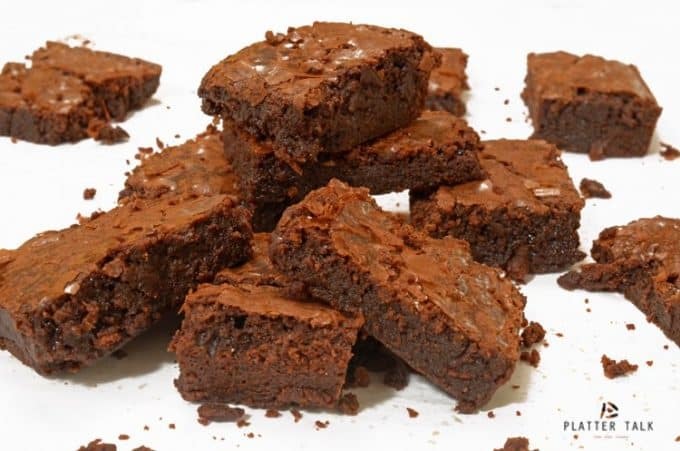 And, these brownies look so good!! Thanks, Deb! Wish you had been here to taste test! 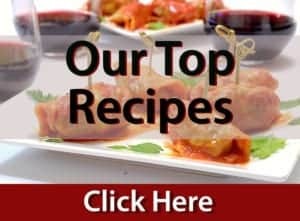 Great recipe, great video, great brownies!! Oh, this video is awesome. Love this! And I love the smiley eggs as well 🙂 Anyway, I will have to come back to grab your recipe again, it looks so tempting!! Thanks so much, Del; it’s really a great brownie recipe! So fun to watch the boys intro the recipe! Nice work you two! The results do look supernatural! Can’t wait to try this one out with my grandkids! Great post, I love the name and of course the brownies are mouth watering. 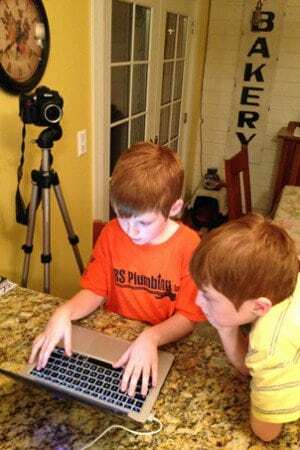 Thanks, Nicole; the boys did have a fun time and did a very nice job! Those look fantastic and delicious! Thanks, Florian! No leftovers from this one! I got the greatest joy out of watching Nate and Asher! What wonderful memories you have created for them. 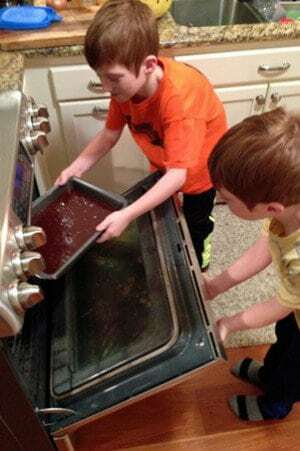 The brownies look fantastic boys. Keep up the good work! Thanks, Patty. We all had a lot of fun with these beauties! How fun, looks like the boys did a fabulous job! Pass the brownies and a glass of milk please! Thanks, Debra; wish you had been here! Adorable. 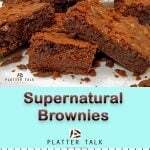 I’ve never seen the words”supernatural” and “brownie” together before. Except at grandma’s seance, but I don’t think that counts. Loved your comments, Chef Jeff! Thanks so much for the kind words and good humor! These look super gooey, super chocolaty!